The Environmental Protection Agency on Monday launched the Food Steward&apos;s Pledge, an initiative to engage religious groups of all faiths to help redirect the food that ends up in landfills to hungry mouths. It&apos;s one piece of the agency&apos;s larger plan to reduce food waste by 50 percent by 2030. As we&apos;ve reported, more than 1,200 calories per American per day are wasted, according to U.S. government figures. Loss occurs on the farm, at the retail level and in homes. We consumers often toss out foods because they&apos;ve passed their sell-by date — but are still just fine to eat — or because we buy more than we can eat before it goes bad. EPA says groups can also work with local grocers, schools and restaurants to direct food to food banks and shelters that would otherwise be wasted. They can hold seminars for the faithful and the broader local community to teach them how to menu plan and shop their own refrigerators first to avoid buying excess food, and how to compost the leftover scraps. EPA has developed a toolkit with lots more suggestions for groups that sign its "Food Steward&apos;s Pledge." 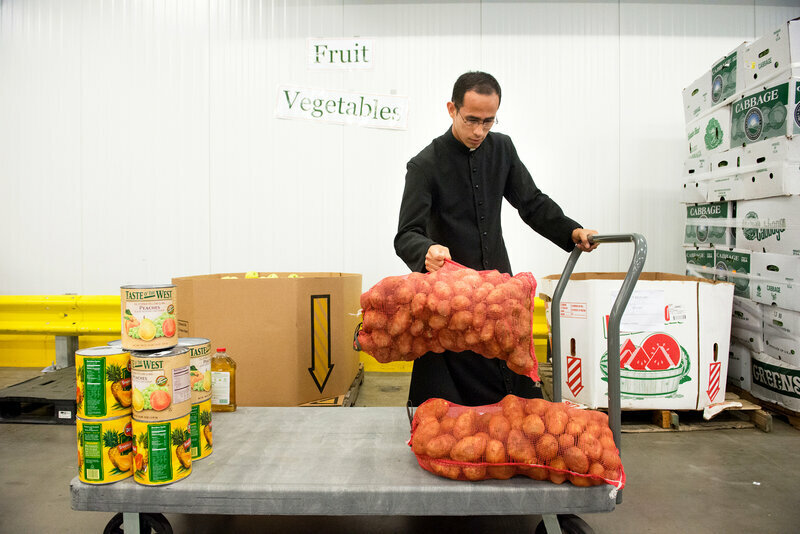 Food waste is closely tied to another growing concern for many faith-based organizations: climate change, a problem that disproportionately affects the world&apos;s poor. Food waste is the single biggest material in U.S. landfills, according to the U.S. Agricultural Department. As this waste decomposes, it releases methane, a powerful greenhouse gas. For example, in the past year, the Evangelical Environmental Network, a policy and advocacy group, launched its own "Joseph&apos;s Pledge" program: It teaches churches how to minimize food waste through actions like donating to food banks, planting community gardens and composting. (The program&apos;s name refers to the biblical Joseph, who helped guide ancient Egypt through seven years of famine.) About 200 churches have signed up so far, EEN President Mitch Hescox tells us. The goal is to reach 1,000. "Evangelicals are primarily conservative politically," Hescox notes. "They want to take action by themselves. And this is one step they can do themselves to help people to address the problem. And it&apos;s a win-win. " Shantha Ready Alonso, executive director of Creation Justice Ministries, an environmental justice group spun out of the National Council of Churches, says the 100,000 congregations in her organization&apos;s network, representing 45 million people, have a variety of programs to address food waste. She points to the Ferncliff Camp and Conference Center in Little Rock, Ark. 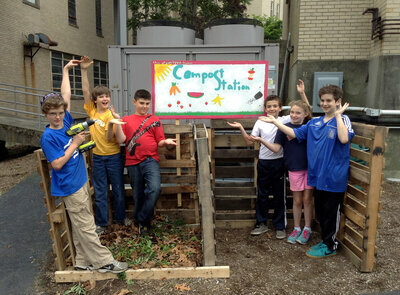 Run by the Presbyterian Church, she says it&apos;s a model program where 100 percent of food scraps get composted. She says some churches grow food in on-site gardens and direct it to the needy. And she notes that churches and individuals with gardens are also encouraged to donate to Ample Harvest, a nonprofit that connects gardeners to local food pantries. Hazon, a Jewish environmental organization, already has several programs focused on food and sustainability, says Becca Linden, the group&apos;s associate program director. But "this will be the year we make food waste a priority," she says. 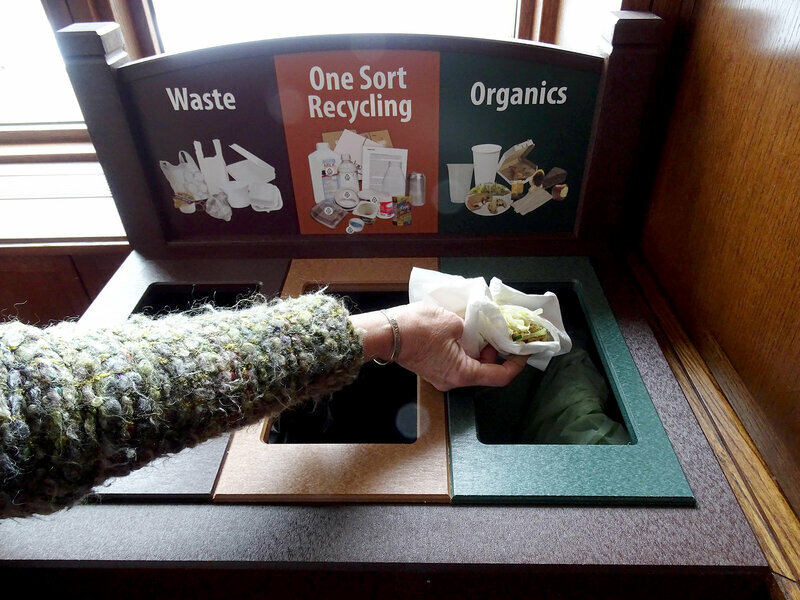 Among other actions, she says Hazon will screen the food waste documentary Just Eat It, publish a compost guide and raise awareness that expiration dates don&apos;t necessarily mean food is no longer fit to eat. Meanwhile, Muslims around the world have been calling attention to the food waste that occurs during Ramadan, a period when fasting is followed by feasting that can result in over-purchasing of food. The Quran says Muslims should "eat and drink: but waste not by excess, for Allah loveth not the wasters." In the U.S., the group Green Muslims is trying to spread awareness of Islam&apos;s environmental teachings. For instance, the group offers a guide to hosting a zero-waste iftar. Cecilia Calvo of the U.S. Conference of Catholic Bishops says there&apos;s a growing recognition that protecting the environment is everyone&apos;s moral duty. As Calvo notes, the question for many has become: "What does it mean to care for our common home?"